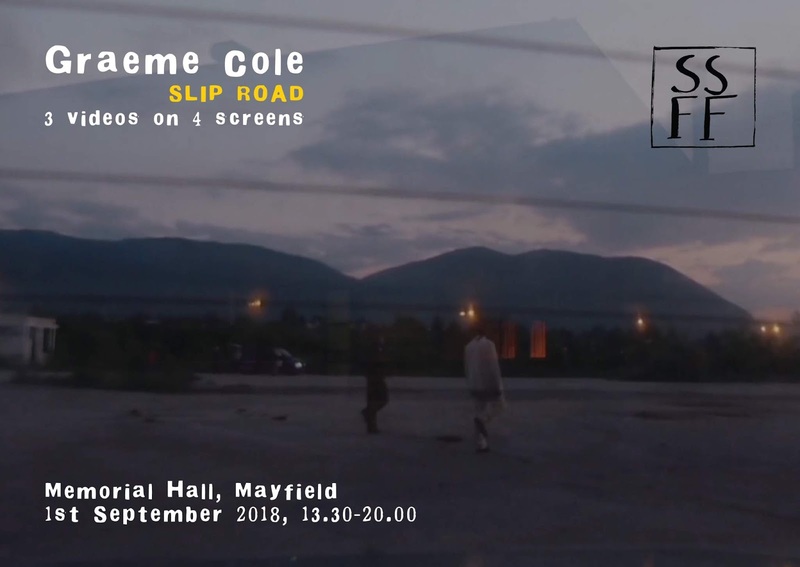 Following Graeme Cole's EMAP/EMARE artist residency of September 2017, an exhibition and outpouring of new materials are due to take place in the city of Bourges, France. The exhibition celebrates the collaborative (p)reconstruction of yet another episode of Mr Cole's artist film cycle, UNIVERSAL EAR. It contains the movie itself, looping every half-hour; additional video materials and properties from the set; scraps of discarded research; and an artist's book, available to buy from the gallery or online. The limited edition book will be removed from sale at the end of the exhibition. From November 16th-December 2nd 2018, the exhibition UNIVERSAL EAR: The Curse of the Phantom Tympanum will take place at Le Haïdouc – Antre Peaux, the premises of media arts organisation Bandits-Mages, who hosted the residency. The show is a satellite manifestation of an exhibition of EMAP artists' work, RACCOMMODER LE TISSU DU MONDE (Mending the Fabric of the World), curated by Annick Bureaud, which takes place during this year's Les Rencontres Bandits-Mages. WHERE: Le Haïdouc – Antre Peaux, 24-26 route de la chapelle, 18000 Bourges, France. WHEN: Friday 16th November - Sunday 2nd December, 2018. Monday to Saturday, 14.00 – 18.00. Sunday on demand. The Institute is proud to announce the launch of our first book. 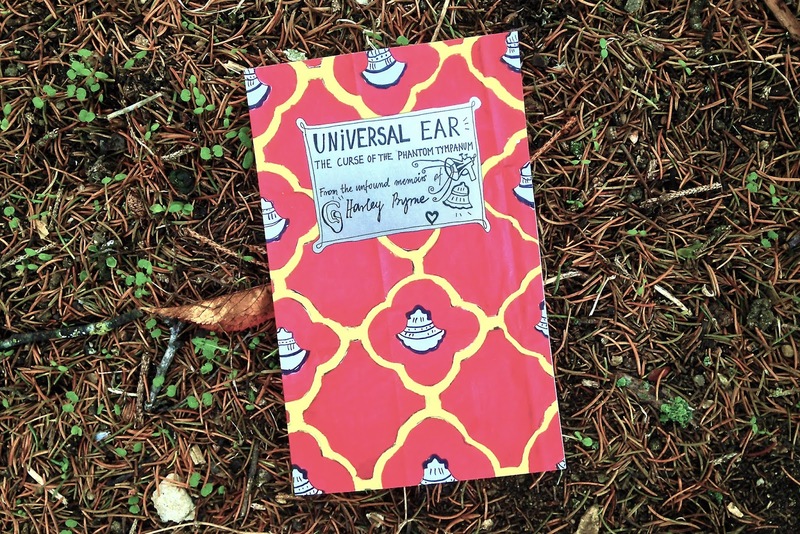 UNIVERSAL EAR: The Curse of the Phantom Tympanum was created by Graeme Cole with Aleksandra Niemczyk, in response to Mr Cole's EMAP/EMARE residency at Bandits-Mages in Bourges. It is available for just 21 days during this year's Rencontres Bandits-Mages, where this UNIVERSAL EAR episode will also appear in movie form as part of an installation until 2nd December. Reconstructed by Graeme Cole (text) and Aleksandra Niemczyk (illustrations) from the unfound memoirs of Harley Byrne. Available to buy in a temporally-limited edition during Rencontres Bandits-Mages 2018, 12th November-2nd December. Harley Byrne’s ongoing mission is to capture and make available for download “all the world’s music, ever.” This novella-length extract from his memoirs tells the full story of Byrne’s adventures in Bourges, France, 2187AD. While working on his escape from slavery in the reverb mines of 32nd-century Detroit, Byrne is tipped off to the existence of a form of ‘rogue sim electroacoustic pop’ created by a pair of sentient statues in 22nd-century Bourges. But when he arrives in the historical city, he discovers it to be an ontologically dubious virtual heritage site, overrun with corrupt holograms, cyborg saints, and the occasional native telling fisherman’s tales from deep VR. What’s more, one of the musicians is missing: the lab-cultured, organic statue of Saint Ursinus, recreated from ancient DNA but barely more than an adolescent. In order to track him down, Byrne must navigate the ever re-loading maze of the city, outwit the crazed busts of Bourges’ most celebrated sons and daughters, and keep hold of his senses under the effects of the curse of the phantom tympanum. 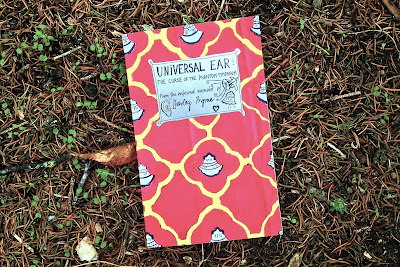 Available for 21 days only, the first UNIVERSAL EAR book was created as part of an EMAP/EMARE artist residency at Bandits-Mages, Bourges, further supported using public funding by the National Lottery through Arts Council England. The book also contains a photographic project - A New Ontology of Hallucination - and Mr Cole’s studio log from the residency. A film adaptation of the adventure will loop as part of a Curse of the Phantom Tympanum exhibition at Le Haïdouc – Antre Peaux in Bourges from 16th November-2nd December 2018. * Please note this is a small-scale, non-profit art project. We will endeavour to dispatch your book anywhere in the world within 5 days but please bear with us. Queries before and after purchase can be directed to graeme[at]zoomcitta dot co dot uk. Our sad cop movie and cyberpunk weather diary will play the Trash Film Festival in Varaždin, Croatia, this Friday. Please comment below if you visit! WHERE: Kino Gaj, Gajeva 1, 42000 Varaždin, Croatia. 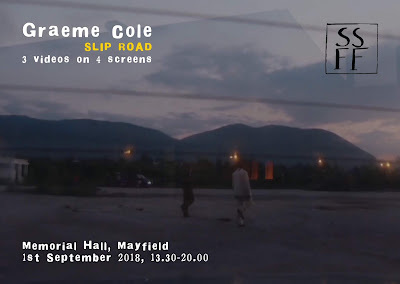 A one-day exhibition of three recent projects from Graeme Cole, all co-produced by the Institute, will take place as part of the second Slow Short Film Festival in Mayfield this Saturday. The videos will be shown on a loop in the Memorial Hall opposite the main venue. 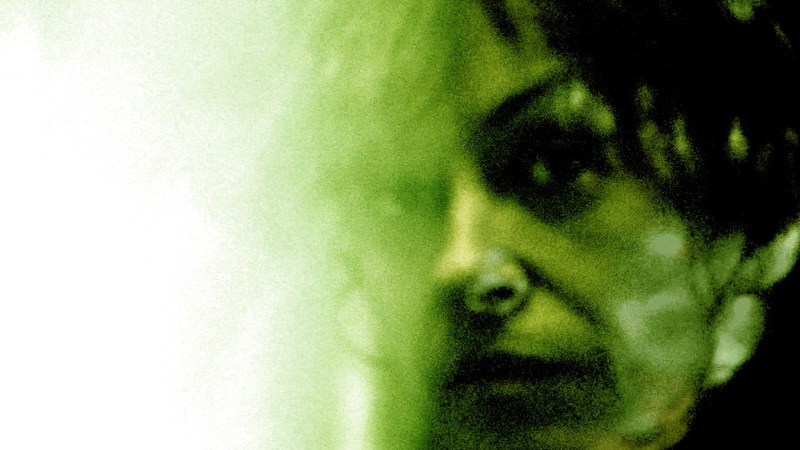 It is the first chance to see any of these movies in the UK, and includes a special preview version of the previously unseen, ASMR-themed Murmurs across two synchronized screens. Mr Cole will be in attendance at the festival. Aleskandra Niemczyk's Investigations Of A Dog, which Mr Cole highly recommends, will play in the main program. In fact, the whole day-long festival has been very thoughtfully prepared. WHERE: Mayfield Memorial Hall, Tunbridge Wells Road, Mayfield, East Sussex TN20 6PJ. COST: Entrance to the exhibition is free. Tickets to the festival are £10 + fee. NOTES: The three films will play concurrently: Epizoda ? 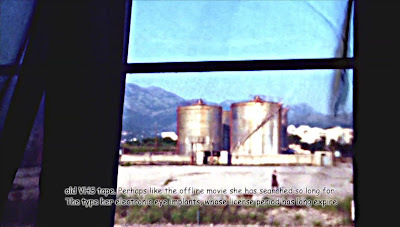 (40 minutes), Amateri (20 minutes), and Murmurs (special preview version, 65 minutes). Facebook event. 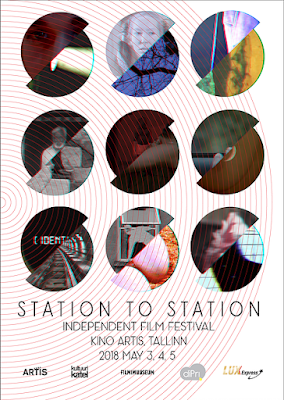 Amateri, or The Lost Innocents will play at Station To Station International Film Festival in Tallinn, Estonia next week. The festival looks amazing and you are encouraged to attend even if you find the Institute's work to be generally appalling. NOTES: "Station To Station is a gathering of like-minded directors from around the world who believe in the cinema as a form of art. 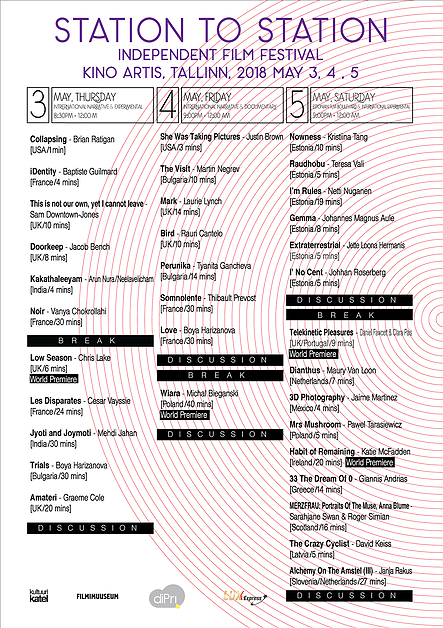 40 independent filmmakers from more than 10 different countries are touring around Europe to screen their work at local cinemas (underground films/ narrative/experimental/documentary). It’s a combination of cinephilia, cultural education, travelling, exploration, networking and fun." Amateri, or The Lost Innocents will play at iChill Manila International Film Fest tomorrow. Go and see it! Tell us how it is!